Renowned players from the golfing world have played here and 4 Italian Opens have been held on this course. Severiano Ballesteros played here one of the first Opens. It is a comparatively new course, just over ten years old but designed on a grand scale. In fact the 346 acres also have houses looking directly on to the course. Both these and the club house were designed by Luigi Caccia Dominioni, who is so skilled at interpreting the needs of the upper echelons of Lombardy society. 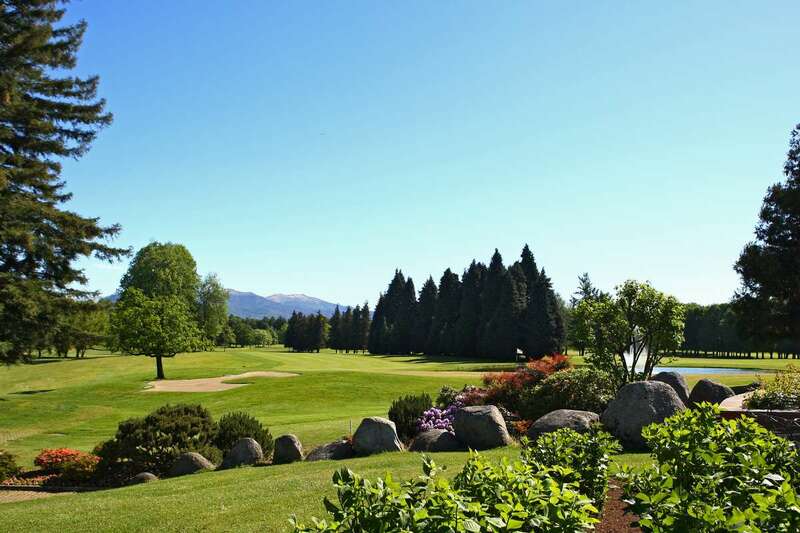 The setting is wonderful: vast fairways on the level, the silhouette of the surrounding mountains, two artificial lakes, and the wooded areas with two hundred thousands trees complete this unique landscape. This is one of the great classic courses in Italy, made famous by the Italian Open championships held here and by the very meticulous maintenance and green-keeping on both 18-hole courses. The wonderful lake Como, a few miles down the road, makes this a great spot for a week-end or longer holiday. 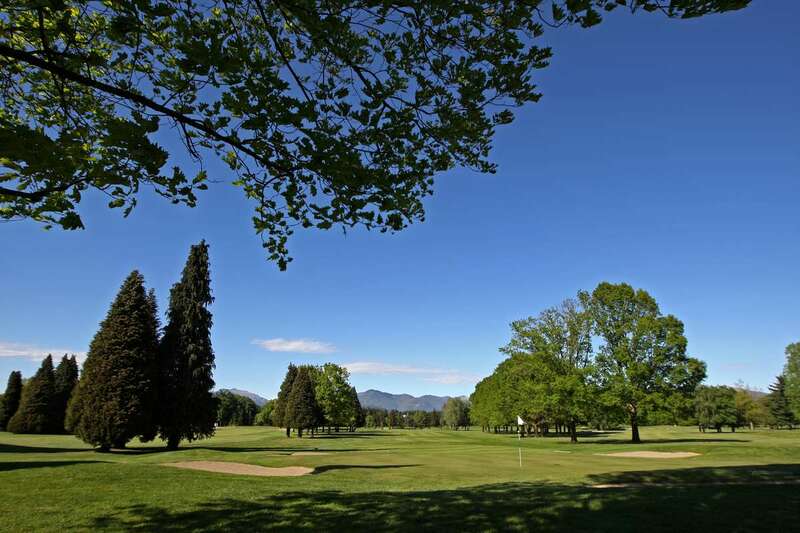 The course is laid out in a plain lined with little copses and with the Alps as a backdrop. The difficulties are clearly in view and judiciously spread in order to avoid overwhelming the average player will feel easy playing from the back-tees, particularly on the two very long par 3s, one green of which is surrounded by water (hole n° 7). Elsewhere, the fairways are rather wide, the rough can be dangerous and the most frequently encountered hazards are bunkers and trees. A good course but one which might have deserved a little more imagination from a graphical viewpoint.